“Read 500 pages like this every day…That’s how knowledge works. It builds up, like compound interest. All of you can do it, but I guarantee not many of you will do it,” Warren Buffet. 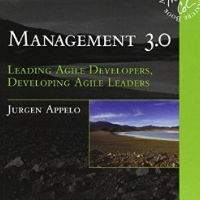 At Management 3.0 we’re not going to challenge you to read a certain amount every day, we are however going to recommend a few fabulous books, each focusing on how to be an inspiring leader and manager while providing invaluable information for how to create transformational change within your organizations. Find more products for direct order in our Shop!